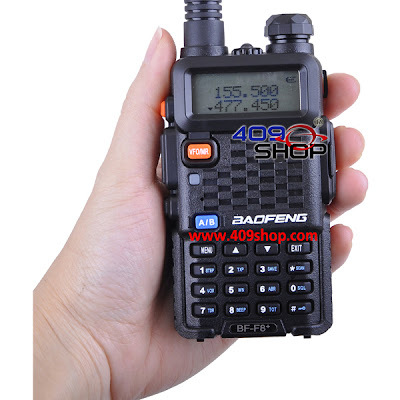 BF-F8+ series two-way radio are the newest styles by BAO FENG, it has multi-functions, such as dual band, dual display, dual watch, its performances are excellent, the shape is fashionable. The background is very unique, make it look elegant and luxurious. It looks good. The only problem is that the listing on 409Shop ($51 USD) doesn't have the same screen. The radio is marked as a BF-F8+. Somebody is wrong. Thanks to Hans for pointing out the BF-F8+ to everyone. for me, they are the same one, just be viewed from different reflect angle. please note the model at lowest central part. Both of them are BF-F8+. The screens don't look the same to me. I think the last one is the real one. The first one should be a demo or just sample in engineering mode for take picture. The last one have a hand on it. Despite matrix LCD is fancy than traditional LCD, matrix LCD have low contrast. AliBaba (I can't help but silently add "and the 40 thieves") has it listed as shown above. So besides possibly having a different screen; how is this radio any different from the UV-5R? It's more of the same. If you look at all the UV-5R varieties, specs are basically identical. Some models offer a slightly larger frequency range on UHF, but that's about it. The rest is all cosmetic. Threeoldcrows.com is advertising BF-F8+ tranceivers with normal and reverse screens. Seems the only differences between the F8 and the 5R are the advertized frequency range in UHF and the lack of the BAND button. Where did the Band/Tone-Burst button disappeared to? 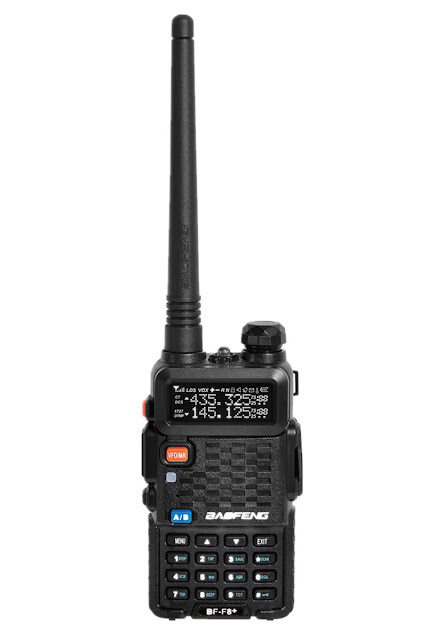 Baofeng just came with the BF-F9.